2 Of Cups Reversed - Spirituality: This is a time to work on your feelings of belonging with the energies of the universe and being at homewith yourself. 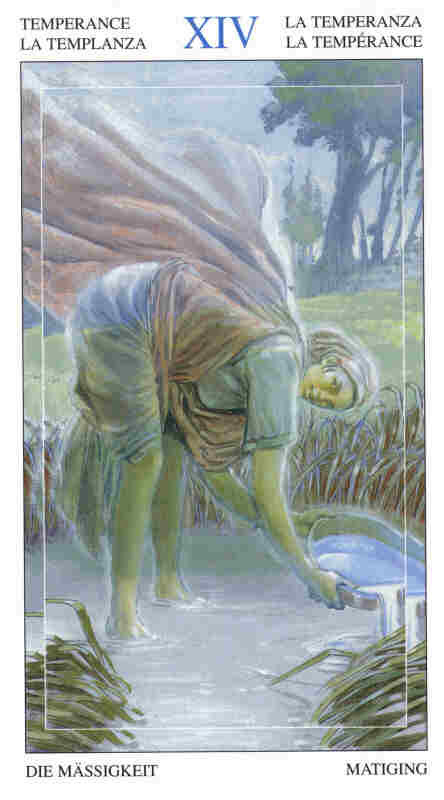 This is one of the cards that represents the heart chakra and its' opening. Find your joy, and your bliss, and share it. No one can do these things for you." 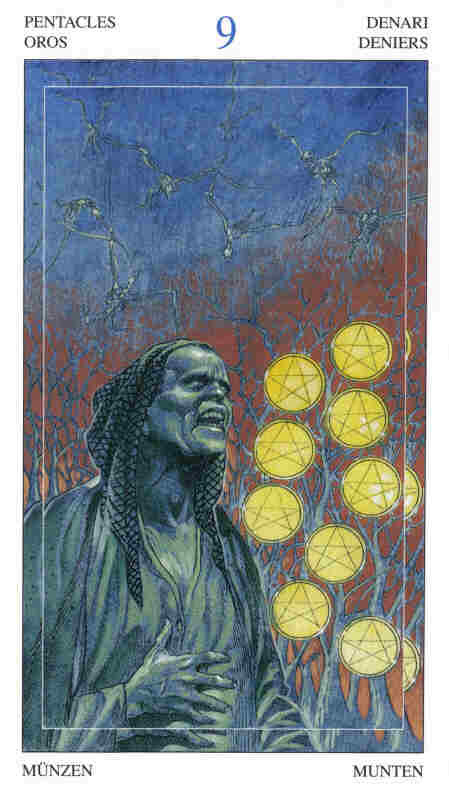 9 Of Pentacles Reversed - Spirituality: The 9 of Pentacles reversed shows that you have the capacity for a great deal of spiritual growth now, but you may not be feeling inspired to take advantage of the opportunity. Do what you can, even a little study and meditation can bring positive, important insights. It is more than worth the effort." 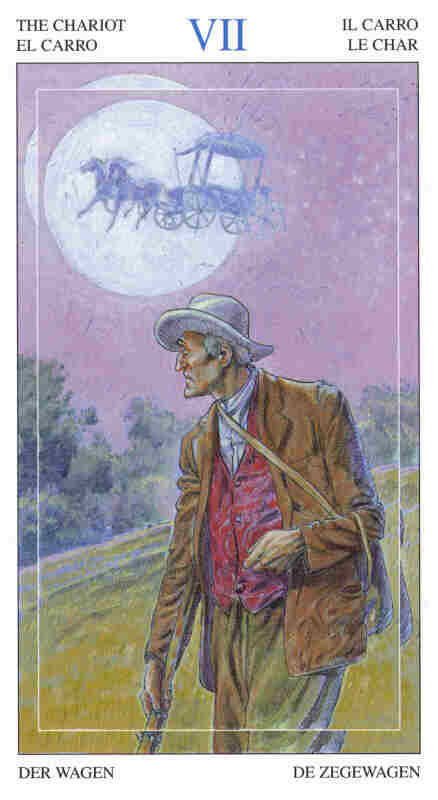 The Magician Reversed - Spirituality: When this card appears reversed, it indicates a need for new experiences and perspectives and even new input into the way you think about and function with your spirituality. It’s okay (and in fact, it’s desirable and healthy) for your spiritual approaches and thoughts to change over time. Try new things. Talk to people who see things differently than you do. You will both benefit." 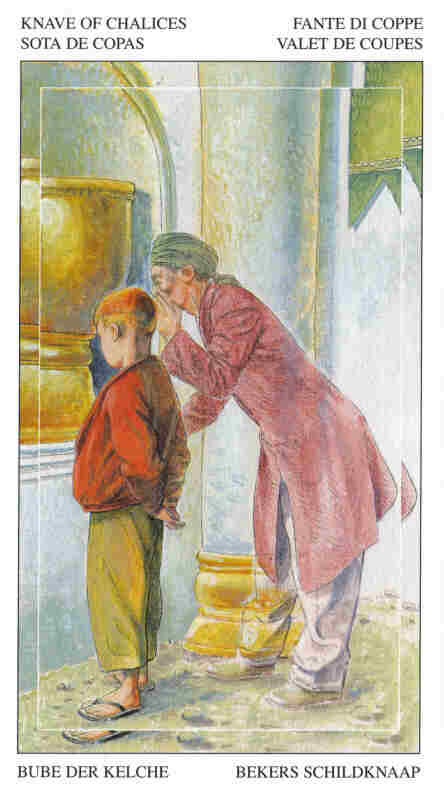 Page Of Cups - Spirituality: You may need to revisit your spiritual rituals if your traditions have begun to feel stale. It might be helpful to give yourself the time and space to consider if or where you can pursue new spiritual information that might be interesting to you. Explore. Read spiritual things from other traditions/belief systems than your own." 5 Of Swords - Spirituality: Even if you have suddenly found the spiritual answers that you've been looking for your whole life, remember that they are your answers and not everyone else's. You don't need to convert anyone else to your way of thinking. 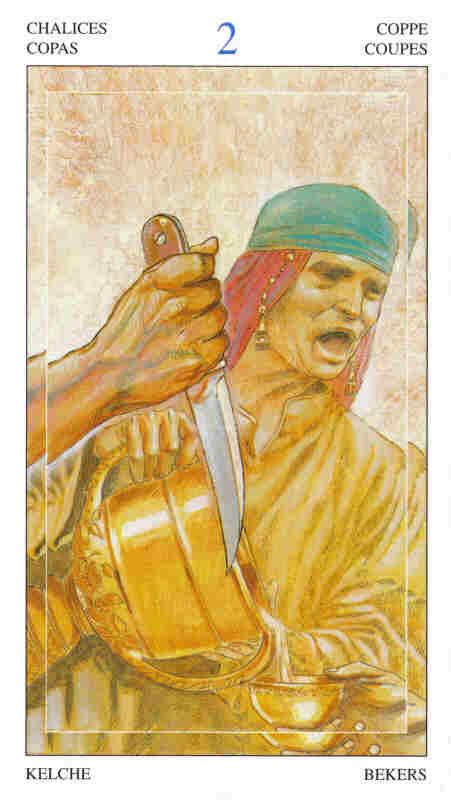 The 5 of Swords can also indicate a sudden break from spirituality that no longer works for you. Give yourself time and space to find new answers, if that's the case." 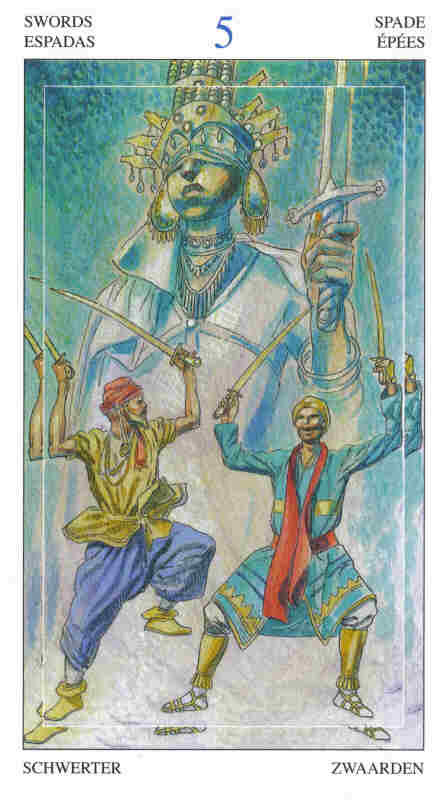 4 Of Swords - Spirituality: In the context of spirituality, this card indicates a need for space. You need time and quiet, to really get in touch with your soul and the universal energies around us all. Even if you work full time and have fourteen children, if you make it a priority, you can find a minute or two of solitude. Find it and take it. Your sanity, and your soul, is crying out for this." 4 Of Swords Reversed - Spirituality: When it comes to spirituality, the reversed 4 indicates a need for NO action, rather than pushing yourself further. Stillness, meditation, and rest, can open up your spirit more now than anything else you could possibly do or attend. Consider meditation on the following: "Peace, Be Still."" 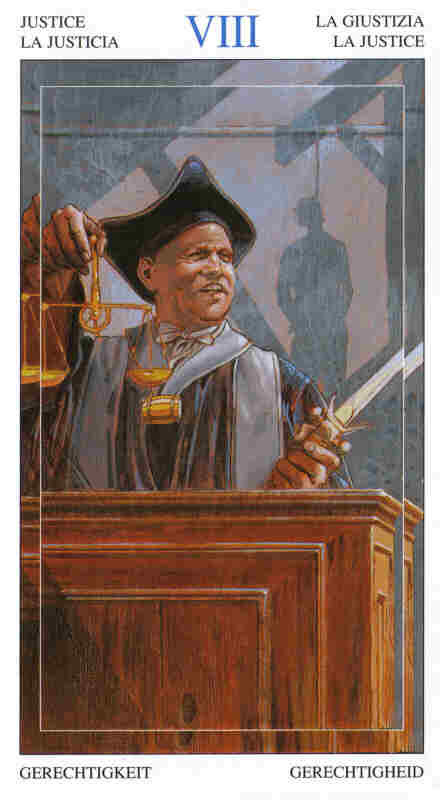 Justice Reversed - Spirituality: Regardless of what is going on in your life and even if you feel that you have been absolutely unfairly treated, this is a time to work on being centered and grounded. Your anger and sense of maltreatment are not going to help you. If you are really having a tough time dealing with what life has challenged you with now, you may find the writings of the current Dalai Lama very helpful and inspirational. Increase your compassion, for yourself, and for the world. You are not being singled out for torment." 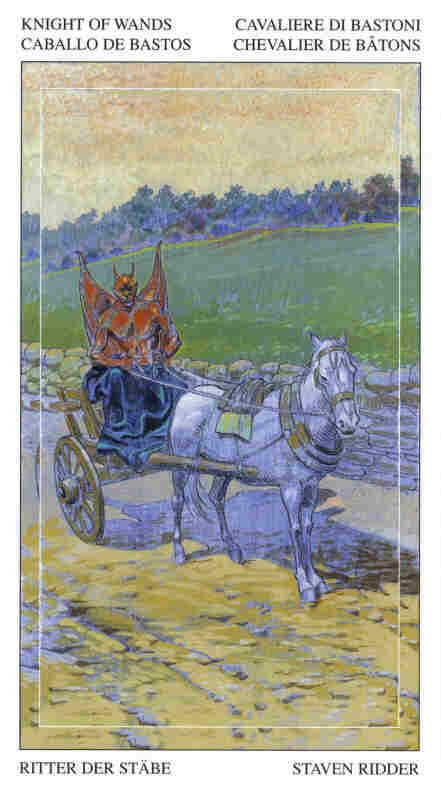 The Chariot - Spirituality: You may travel (even locally) to places that can help increase your spiritual awareness and you will be in a mode where you learn a lot quite quickly about spiritual matters. Don't be afraid to attend seminars and talks on spiritual subjects that seem unfamiliar to you or outside your usual mode of learning. You can benefit in ways that you cannot currently imagine if you do try these new things. This can be a very profound time for you." 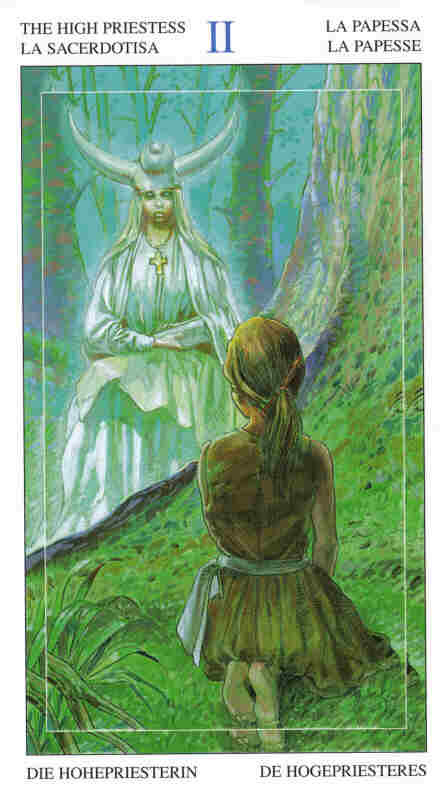 Temperance - Spirituality: This is an important time to meditate and to listen to your inner voice for guidance, and if you need help, to ask for it. Both from your higher self and from others." 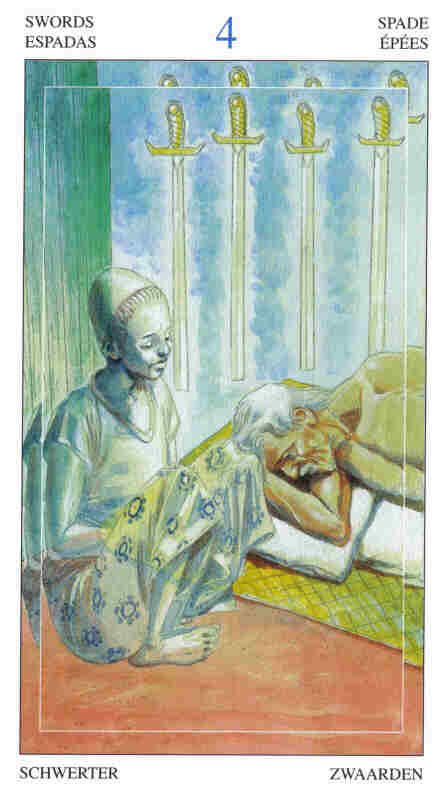 The High Priestess Reversed - Spirituality: When the High Priestess appears in reverse, it can be telling you that spirit has been sending you messages – both in your waking and sleeping life – which you may have overlook. Consider any synchronicities or odd occurrences that have happened lately, or very vivid dreams that have stuck with you. What might they be telling you? Give yourself some time and space to meditate and you may well find that you’ll understand the message." 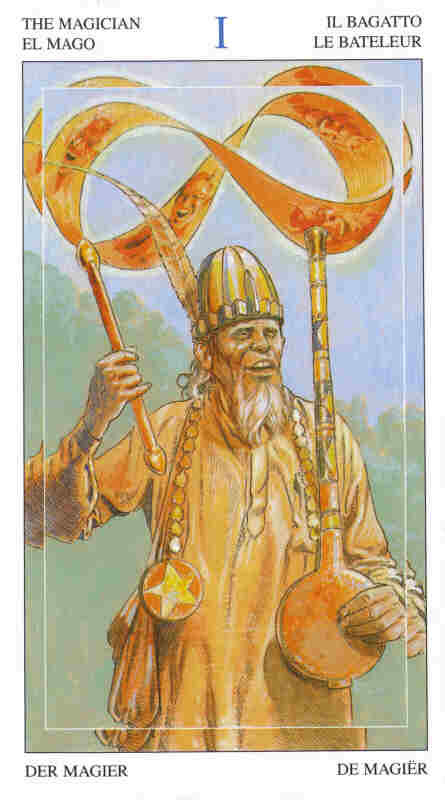 Knight Of Wands Reversed - Spirituality: When the Knight of Wands reversed appears, you may suddenly decide to end a long term spiritual practice or leave your spiritual community. This is not a decision to make lightly, of course, and there may well be many friends or family members who will not take it well or who will not understand. Still, the bottom line is that it is your spirit and your life, and if a spiritual tradition no longer "works" for you, there is no sense whatsoever in pretending that it does. This change doesn't have to happen all at once, you can gradually withdraw, if necessary. You will replace this with something that works better for you, even if that "something" is a fairly solitary contemplation."